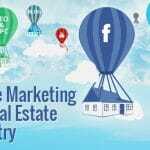 Digital Marketing Tips for Real Estate – Still looking for best digital marketing for Real estate website? If yes then you are at right place. 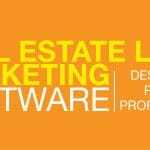 As we all know that real estate and marketing has very old relationship with one another. Now everyone is rushing towards the internet to make their service famous, real estate is no exception. Today is the era of technology and internet. So if you are using old techniques then you are loosing some best. So in this blog we are going to share one of the best digital marketing tips for real estate business which anyone can excel. 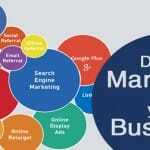 Digital marketing has become very important now for every small or large business. So it become more important for the real estate business owner to implement digital marketing soon. So that they can get more potential buyers who are looking for their services. Digital marketing has come a long way in the recent years. Now you can very easily spread your business and reach to the targeted audiences. There are many other benefits that digital marketing provides to the real estate professionals or who have just put the baby steps into the field. It increases sales and also helps in reducing the costs. Digital marketing also helps in increasing the revenues that cannot be accomplished easily with the traditional methods. It helps in creating brand awareness. Digital marketing maintains the reputation. It helps in bringing more genuine traffic. You get higher leads and conversions rate the moment you get active on the internet. Also you will get more returns on your investments. You will be able to build a strong relationship with the customers. A good digital marketing strategy can make your business successful in every term. But the only way is to use digital marketing in a smart and creative way. Below mentioned are the best digital marketing tips for the real estate. Social media is way more important and beneficial than you think. 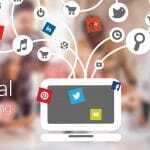 It is important for your business to get active on all the social media platforms. This is one of the best and most effective ways of connecting to the masses. After that you are socially active on every social media portal it’s now time to spread your activeness on your official page or website. This will help people to find you easily on the social pages and eventually you will get more and more customers. It would be so much beneficial for you and your business if you will be the one who is easy to contact. People always prefer the persons who has an easy reach so that they can discuss about their requirements and other things. Now this is very important factor and tip for any professional or a new bee in this digital marketing world. Your efforts will go in vain if you will advertise or market your service creatively. A creative design of the website and creative sharing will give you quality traffic and profits of course. This is yet another very important aspect of succeeding in the digital marketing world. A website or any social page of your business needs good optimization. It is necessary to bring higher ranks on search engines, good traffic, viewers turning into customers etc. Always keep in mind that people will not stay on your site for more than 10 seconds if your site takes too much to load. Also do not forget to make your site mobile friendly because now mobile usage has been increased if we compare it with the desktop use. These things might seem small but they are very effective for your business. Believe it or not but content is still the king of online marketing. A creative, unique and relatable content is very powerful in attracting customers and building higher ranks. If people can relate to your site or content then there are more chances of your service to be liked on a much larger scale than others. People now have switched to online ways to get anything from small to big. If you have a business and want it to be known by more number of people then it is very important for you to move towards digital marketing. Above mentioned are the best tips that a help you to earn more profits in your real estate business.